Heike, as Ana stated. It contrasts beautifully on your red hair and fair skintone. 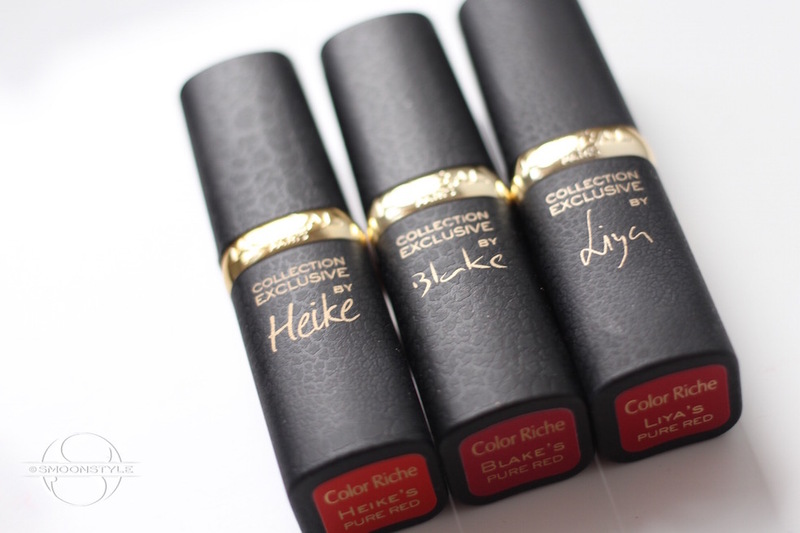 Heike goes best with your hair. All look amazing!! 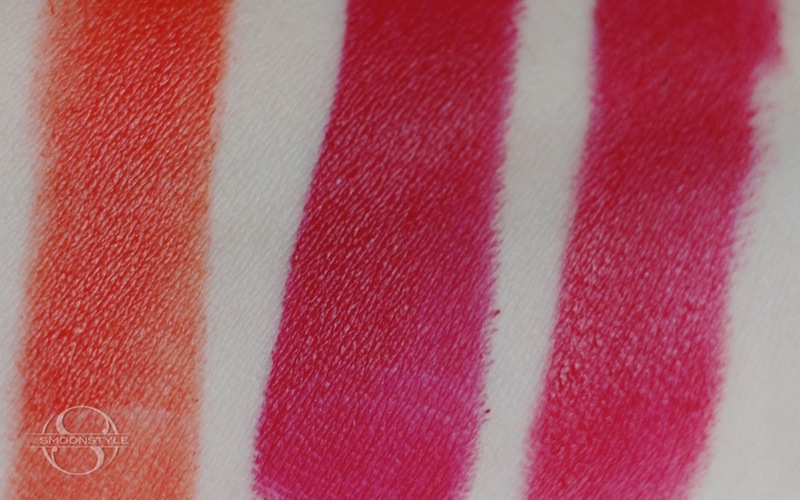 You would love the red matte from O Boticario. 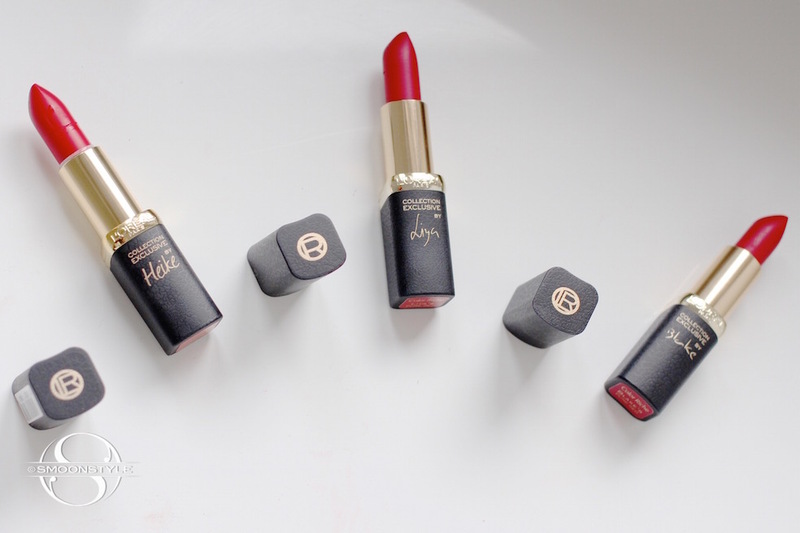 I think that the brand is only sold in Latin America (but you'll come here soon, so), the lipstick is AWESOME and last like forever, I can eat and drink and the lipstick stays the same! 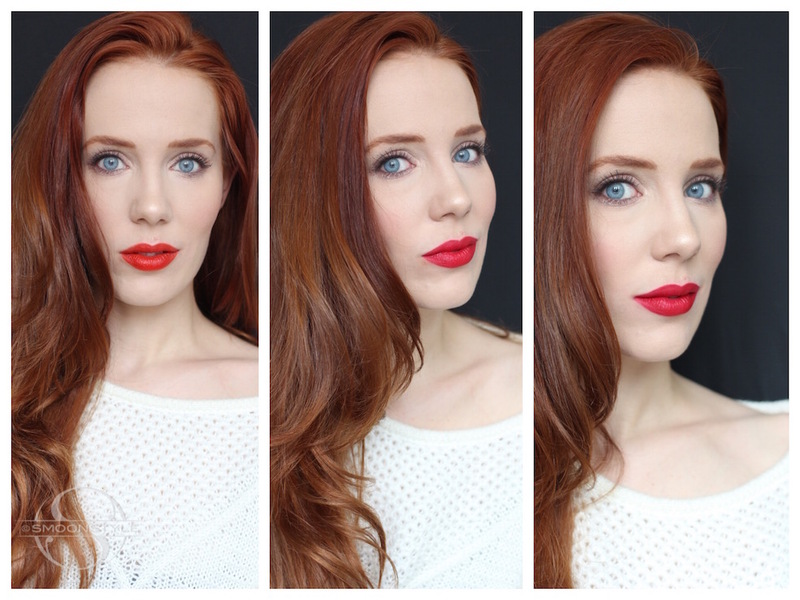 I love red lipstick, so for me the 3 options are perfect! But I prefer more the shades that is more dark. Liya and Blake is so gorgeous, you should use one of them on the concerts. I think Blake is the best and looks better on you. The heike one is the one that I believe suits you best.... For me I would choose blake... I have dark hair... a round face, with white skin and my cheeks tend to get red often... So... I guess it would make me look a bit like a goth doll... Or maybe I'm absolutely wrong. Ah ahah. Ich finde, dass dir "Heike" am besten steht. Die Farbe passt super zu deinen (wunderschönen!) Haaren! Hi Simone! They all look so beautiful on you ! If I have to chose one, I would say Blake. Ich liebe "Heike" an Dir! Damit strahlst du ganz besonders! Ich habe Blake noch gar nicht getragen... aber Heike könnte ich auch ständig auflegen, obwohl ich zunächst dachte, es wäre mir zu knallig. I'm glad I found this post... It brings me good memories... I'm always so sad. Thanks. And why do you have to find there was any reason for Simone to specify that the friend was a woman of colour? Thinking about psychology for example... She was talking about her early ages... So has a child, she would find that person that was not a child! a bit different because she was a bit darker than she was! Nevertheless, she paid not that much attention to that and made that woman her best friend.